When Settle Weir was built to create a head of water to drive the water wheel which powered Bridge End Mill, it created a virtually impassable obstacle to salmon and sea trout that were trying to reach their traditional spawning beds in the upper stretches of the river. The Fish Pass was built in 1959 by the Lancashire River Board. Comprising a number of small steps separated by deep pools, the pass allows fish to bypass the weir. The weir crest at the entrance to the fish pass is set slightly lower than for the rest of the weir so that during periods of low river level, water flowing down the fish pass is maintained at the expense of water flowing over the weir. 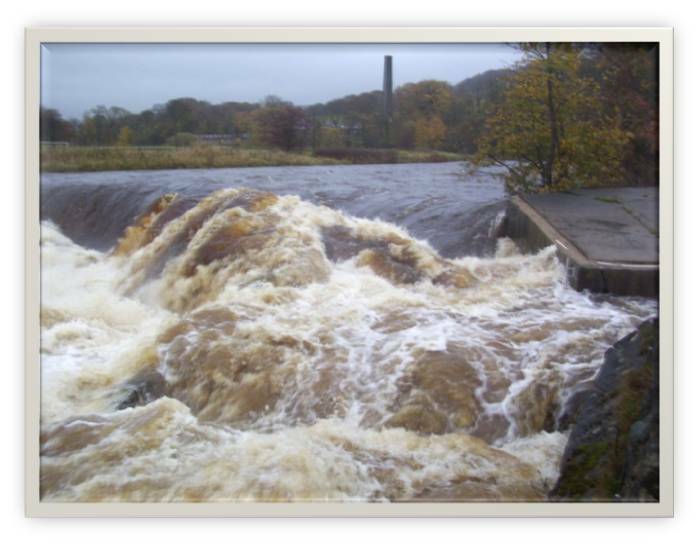 It is a condition of Settle Hydro's Abstraction Licence that in order to protect the flow of water down the fish pass, we do not operate when river levels are low. This is why the hydro stands idle, even when there appears to be plenty of water in the river! The science surrounding the design of fish passes is very complicated as can be seen from a report that was produced during the design phase of Settle Hydro. 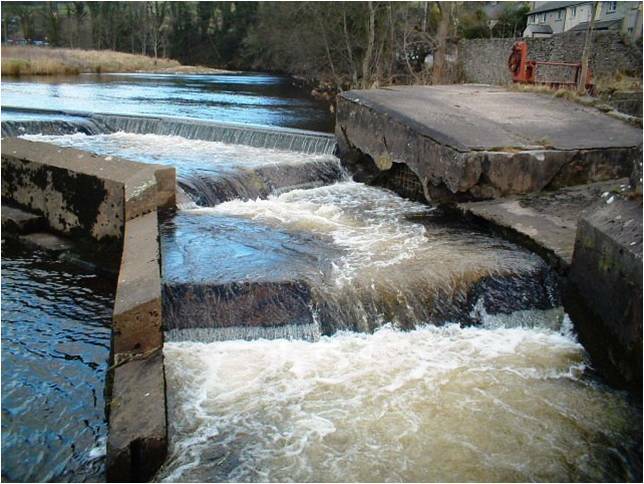 Flow studies that have been undertaken on the fish pass in recent years have show that the design is not very satisfactory and is far from 'best practice'. The Environment Agency, who are responsible for the fish pass, would like the fish pass to be rebuilt to a more effective design but this will be a very expensive exercise and not likely to happen in the foreseeable future. Interestingly, recent studies of the impact of the hydro on the effectiveness of the fish pass seem to show that at high river levels, the Hydro has a positive effect on the fish pass by reducing the energy of the water flowing down the pass thus making it easier for the fish to negotiate. Settle Hydro are committed to working in partnership with the Environment Agency to ensure that the Hydro has no detrimental impact on fish migration.